Time to whip out your mustache and soundtrack for amore, this meal time recipe is about to get magnifico up in here! 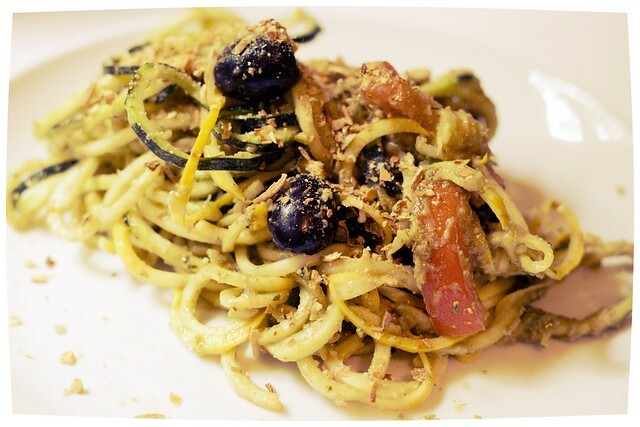 Spiralize the squash into noodles and sprinkle salt on top. Mix with extra virgin olive oil, balsamic vinegar, + seasonings of choice. Add tomatoes, mushrooms, and chopped basil. 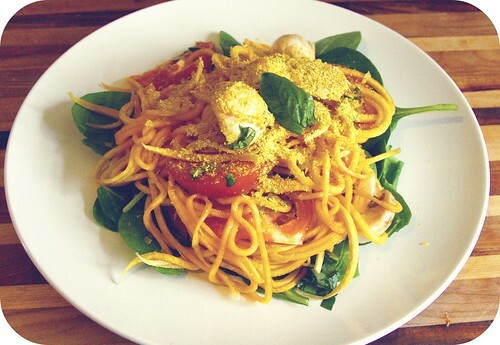 Served on a bed of spinach, topped with nutritional yeast. Sign up to receive notifications about new posts, happenings, & recipes!